The AKA’s highest award, the Edeiken Trophy, is about spirit. 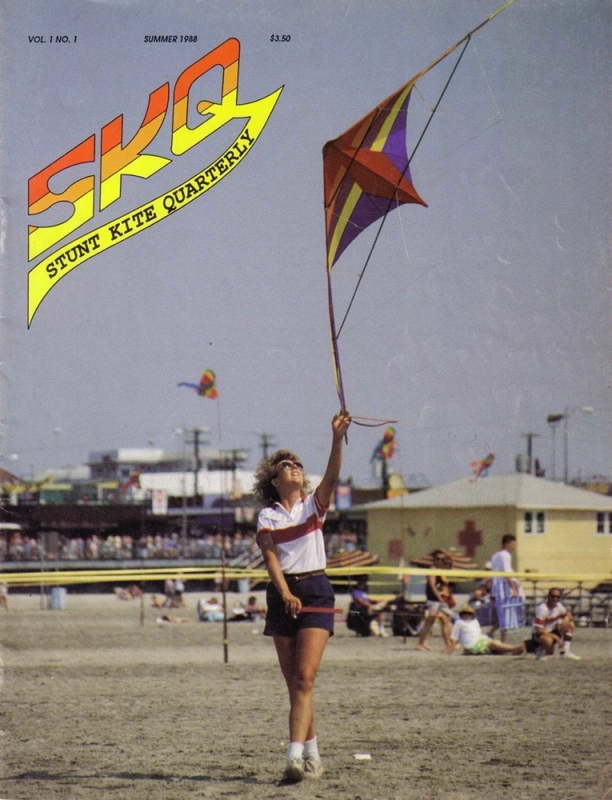 It is about enthusiasm, innovation, exploration, and above all, about the joy of kiting. Two fliers who most highly exemplify these ideas are Lee and Sue Sedgwick. Sedgwick and “Taft” were dominant competitors in the formative days of sport kiting. Lee’s Lady in Red ballet became a classic, and Sue’s Olympic Themed performance left chills with audience and judges alike. 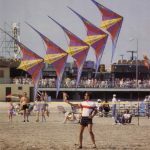 The Spectrum Dart set the standard for performance kites of its day. Not content with mainstream flying, Lee and Sue pushed the envelope. 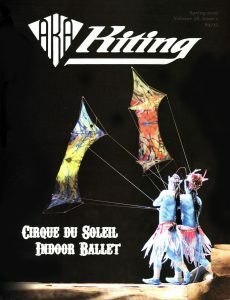 They adapted their Darts to fly on four lines. Then they confounded the experts by reversing lines through dog stakes to fly downwind and interact with their kites. 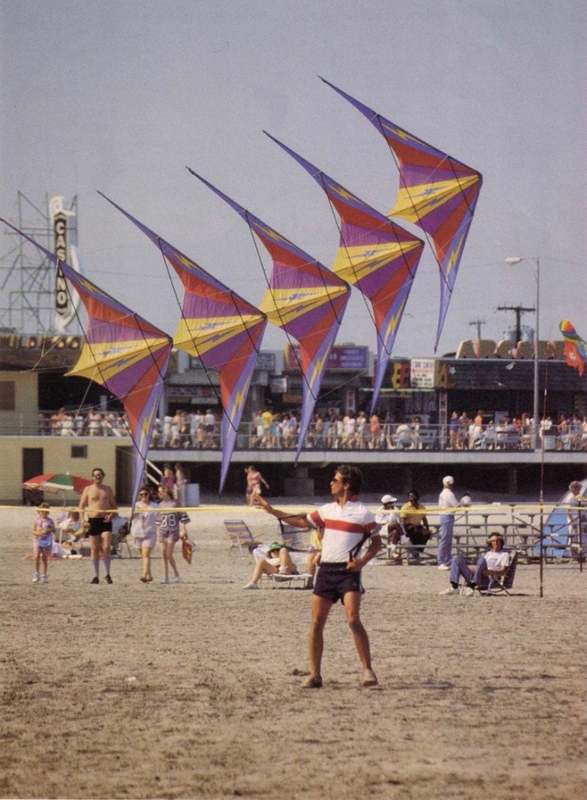 They were among the first recognized kite skiers and then used rollerblades for dry-land maneuverability. One of the things that continually amazes is that both Lee and Sue are so humble. They don’t care about who you are or where you’re from and they’ll give away all their ‘secrets’ to anyone who asks. The bumper sticker on both of their cars says volumes about them- “Attitude is Everything”. While most of the sport’s pioneers have moved on, Lee and Sue continue to perform and innovate. Sue is a regular craftsmanship judge at the Nationals; Lee is most often found at the edge of the field entertaining children with a large stack of Revolutions. He has become a proficient indoor flier. In 2004, Lee’s delightful Fun Disk was named best new product by the Kite Trade Association International. This was 20 years after he had won his first AKA Grand Nationals. 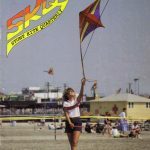 And though the years, Lee and Sue have continued to be the best kind of kite ambassadors. Whether in Japan or France, Wildwood or San Francisco, or on Sunset Point near their home in Erie Pennsylvania, they fly with skill, joy, and passion. They are quite simply two of the nicest people you will ever meet. They are Edeiken Award kind of peoiple.